Can’t decide who to vote for? 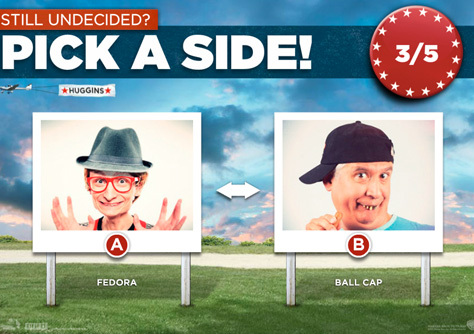 Do your American duty and Pick a Side! 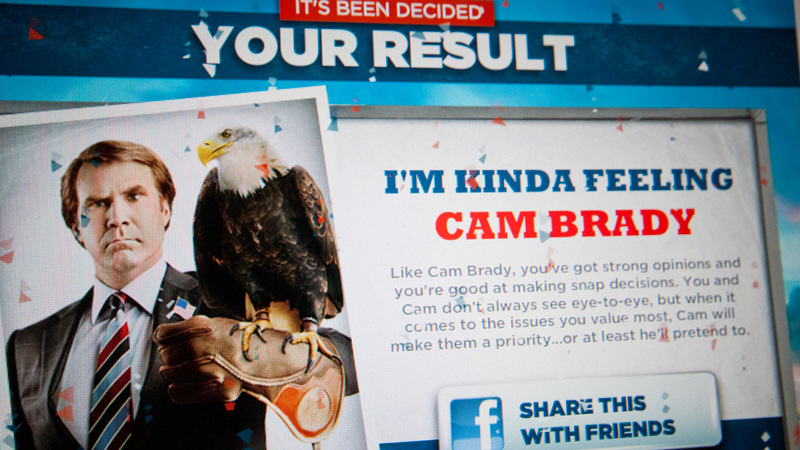 In this facebook application, people could find out which candidate shares more of their views and values. 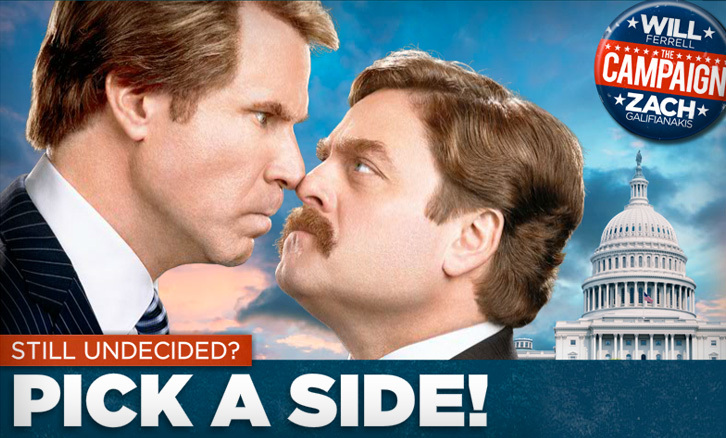 The Campaign is a hilarious comedy about two candidates running for U.S. Congress. To keep a fresh and not too U.S.-centered take on the subject, Warner Bros’ head office in Burbank (Los Angeles) asked us to come up with some ideas to spread word about the movie online. 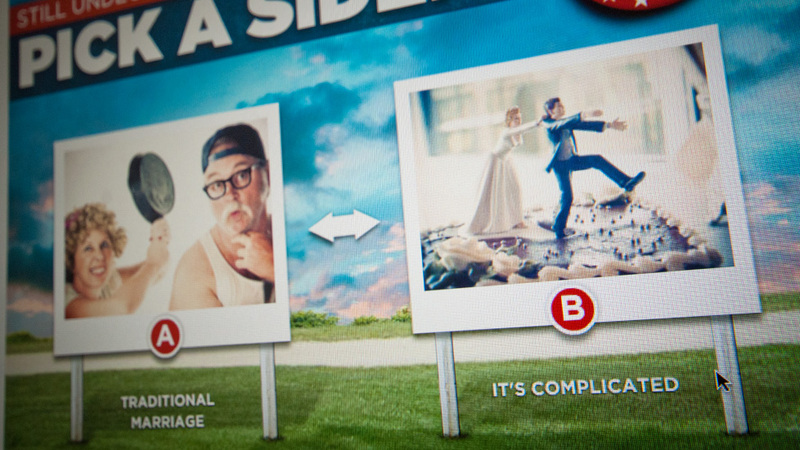 We came up with a facebook app that helps you decide which candidate represents your values best. As the two candidates are locked in a dead heat, with insults quickly escalating to injury until all they care about is burying each other in this mud-slinging, back-stabbing, home-wrecking comedy, no subject was out of the question. Not even baby-punching! 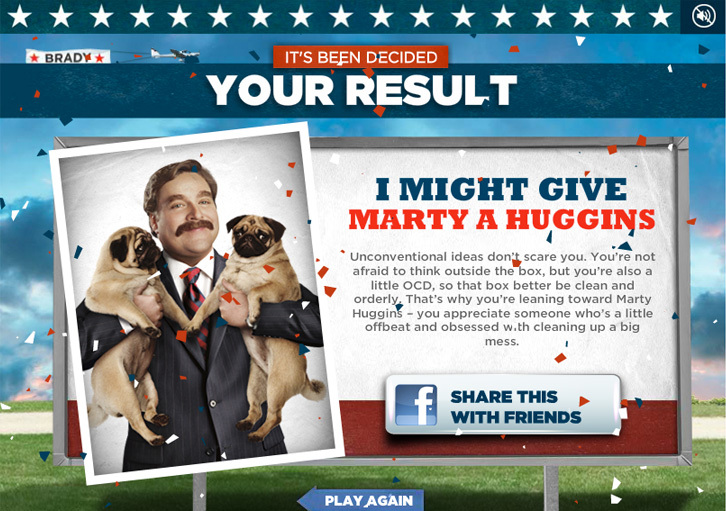 Out of the proposed ideas, Warner Bros picked this fun facebook test. We built it in a mere three weeks from go to golive.